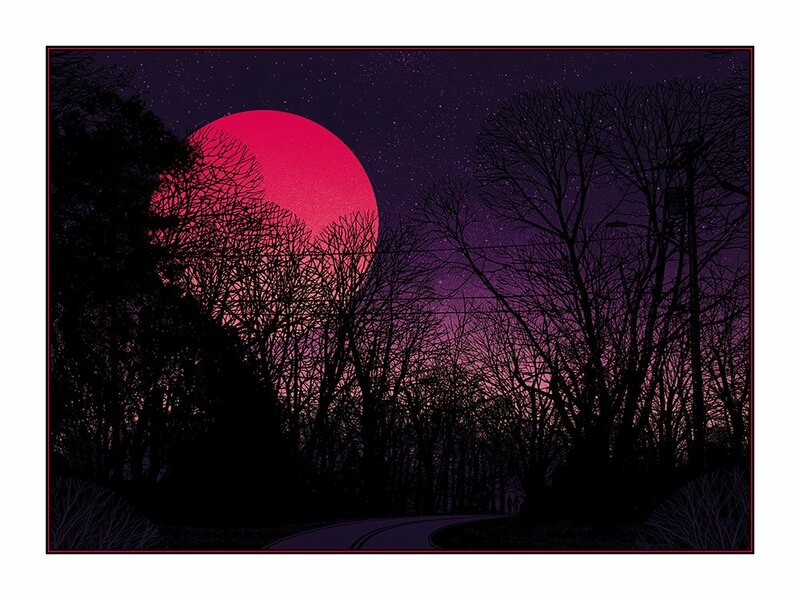 In recognition of the super rare celestial event that took place earlier this week, Dan McCarthy has released this beautiful “Super Blue Blood Moon” screen print! What is a Super Blue Blood Moon you ask? It’s a cosmic event where a lunar eclipse, a blood moon and a super moon all occur at the same time, and was visible in the US for the first time in 152 years. Super Blue Blood Moon is an 18”x24” signed and numbered 5 color screen print. The Regular Edition retails for $40, while the Wood Panel Variant retails for $100. Both versions are currently available at the Dan McCarthy online store.